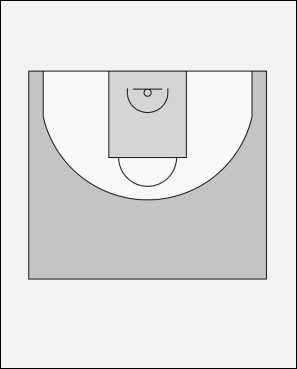 Baseline out of bounds - Box staggered screen. Inbounds against a Man/Man defense. We will create a 3point shot for guard #1 and #2. Guard 1 goes set a screen for 5 and #1 pops-out and receive the ball from guard #2, 5 sets a screen for guard #1. If #1 can't shot, #4 and #3 sets a staggered screen for guard #2, and 1 dribbles outside. 5 pops out and if he is free receives the ball from 1. When #2 is open guard #1 passes the ball for an open 3 pointer.